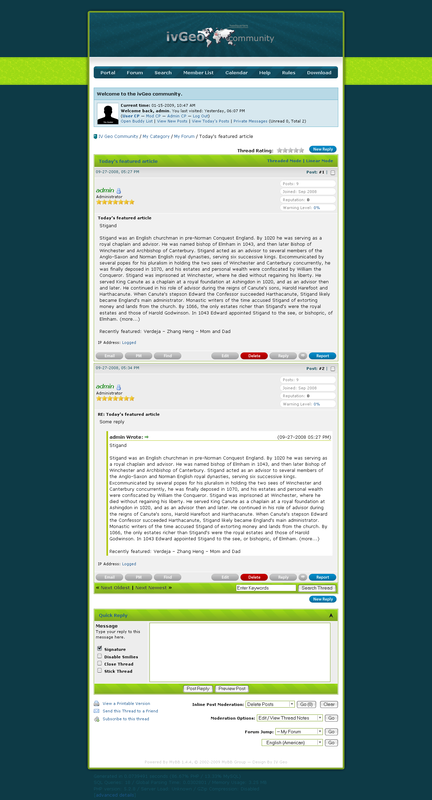 The Blogreen Theme for myBB 1.4 is based upon the modern web 2.0 style (whatever that means). It is a modern blog-like and effective theme that aims to be professional and have a wide range of uses. 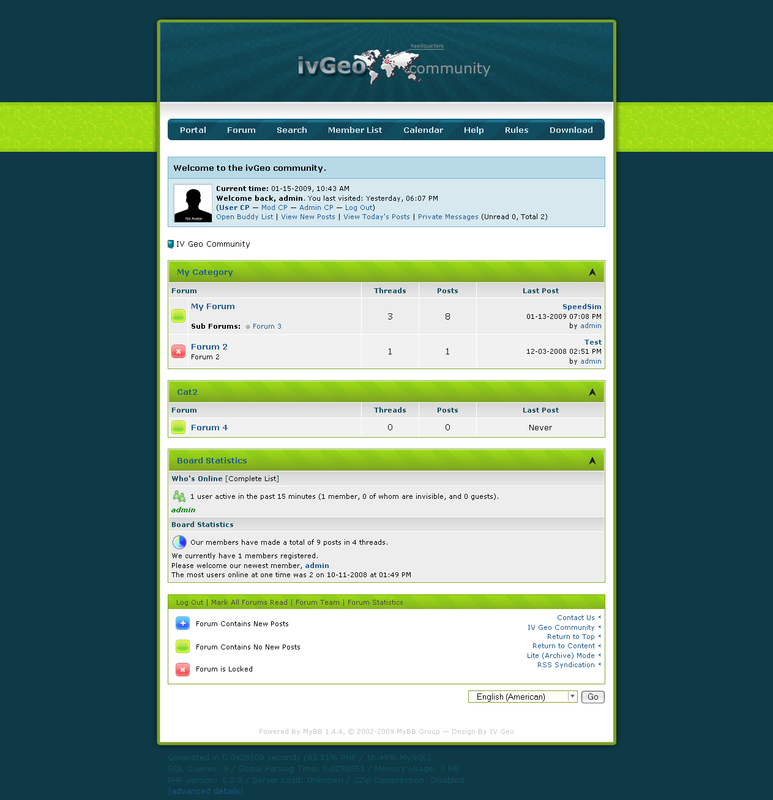 This entry was posted in MyBB, Slides and Work and tagged blog, blue, pngfix and web 2.0. Bookmark the permalink. Both comments and trackbacks are closed.. Thank you 🙂 perfect theme.